Israel's Attorney General said on Friday that he had informed Prime Minister Benjamin Netanyahu there was nothing preventing him from making a decision in corruption cases against the Israeli leader ahead of an April 9 election. Netanyahu is facing possible charges in three graft cases. Attorney General Avichai Mandelblit said in a statement he had informed Netanyahu's lawyers "there is no impediment to making and publishing a decision, if there is any, to consider filing an indictment in the cases relating to the prime minister, or part of them, subject to a hearing, even before the election date." 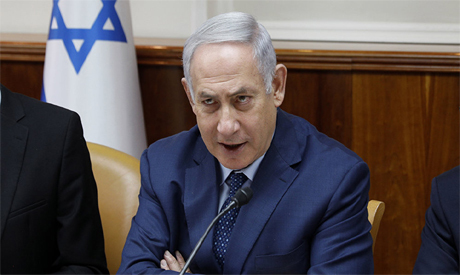 Netanyahu has denied any wrongdoing and called the cases a witch-hunt.